Love these grill cupcakes with fun toppers, including kebabs (not the cupcake kind, a hot dog and hamburger (though those really should be in quotes, because they obviously aren't actual meat products) by Madison, Wisconsin's Cupcakes-a-Go-Go, via their Facebook page. They'll be open on Father's Day (Sunday) from 10-3, and they also have their own iPhone app that acts as a punch card - see description below. Visit them at cupcakesagogo.com/ for more information. 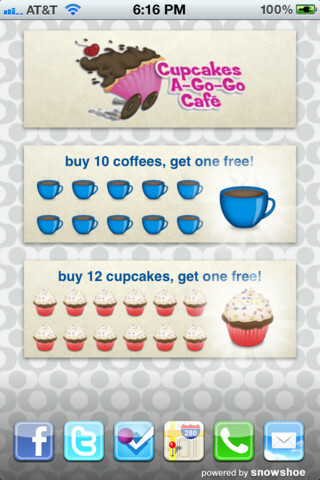 Cupcakes-A-Go-Go and SnowShoe, two Madison-based small businesses, bring you App-A-Go-Go! This app replaces the paper punch-cards you've seen before-- the ones that are easy to lose, hard to keep in good shape, and fill up your wallet. Just pull out your phone at checkout, the cashier will give you a punch, and you're on your way to free coffee and cupcakes! Be sure to share about your punches with friends as you go along, to earn even more! 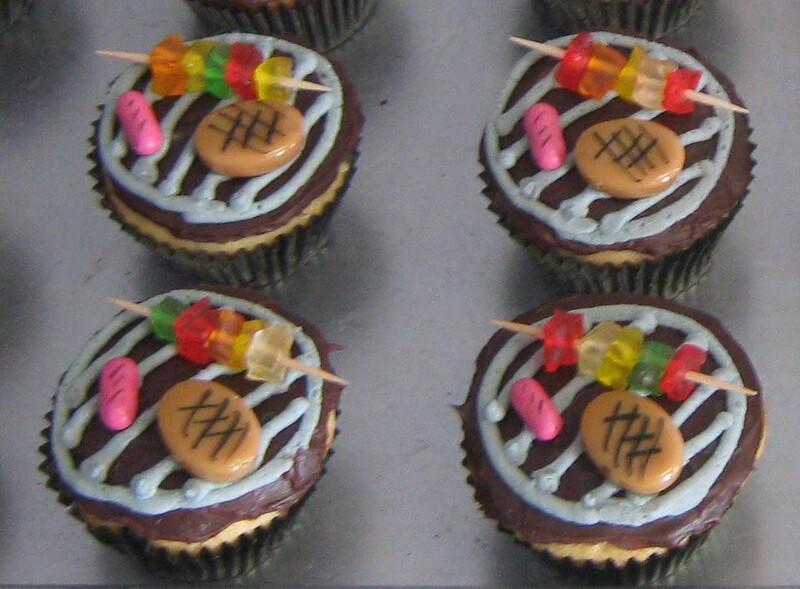 0 comments on "Grill cupcakes with candy kebabs, hot dogs and hamburgers are beyond adorable"
Fancy a hot potato chip cupcake? Can You Help Nigel Spot the Cupcakes? Some Early Father's Day Happiness, Cupcake-Style! What's inside these ice cream cone cupcakes? Even more Diamond Jubilee cupcakes!